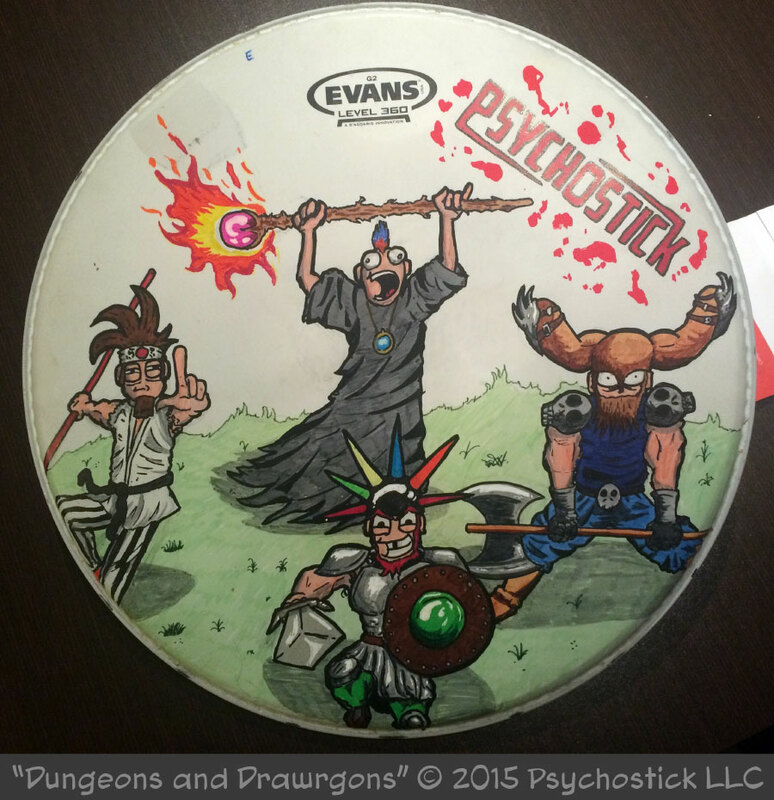 Another drumhead! I'm a maniac. THIS one was a ton of experimentation. I learned all sorts of nifty things about Sharpies, acrylic markers, and oil-based markers. Uh yeah. Anyway. So this one was not a commission and it'll probably be going up for sale at an upcoming show. If it doesn't sell, I'll put it in our store after the tour is up. It'll probably sell quickly though... sorry. Oh! Here's a bigger version of it without color and WITH color. Actual comics to resume... gradually. Having too much fun with this. Deal with it.